My family is having a DIY Christmas, the concept being that everyone in the immediate family makes the gifts for everyone else...it's turning out to be a lot of fun. You guys should try it. Even if you aren't having a DIY Christmas, I know you can agree, DIY gifts are the most special...even if you are making them for yourself! These are my favourite, quick, inexpensive DIY gifts, yours too...as soon as you try them. 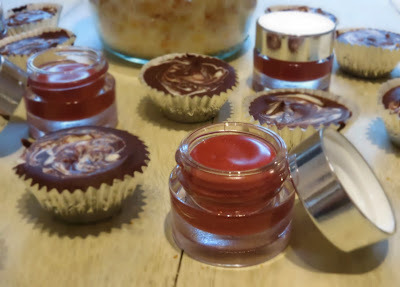 So, the options are: DIY tinted lip gloss, Marbled Hot Chocolate Melts & Pink Grapefruit Bath Salts. You wont find the rest much harder...they are all assembly jobs really. All you have to do is melt 200g of good quality chocolate (I used a half-half blend of milk chocolate & 70% dark chocolate) & 20g-50g of white or coloured chocolate. Pour the melted chocolate into bun cases & then add a little blob of melted white chocolate on the top. 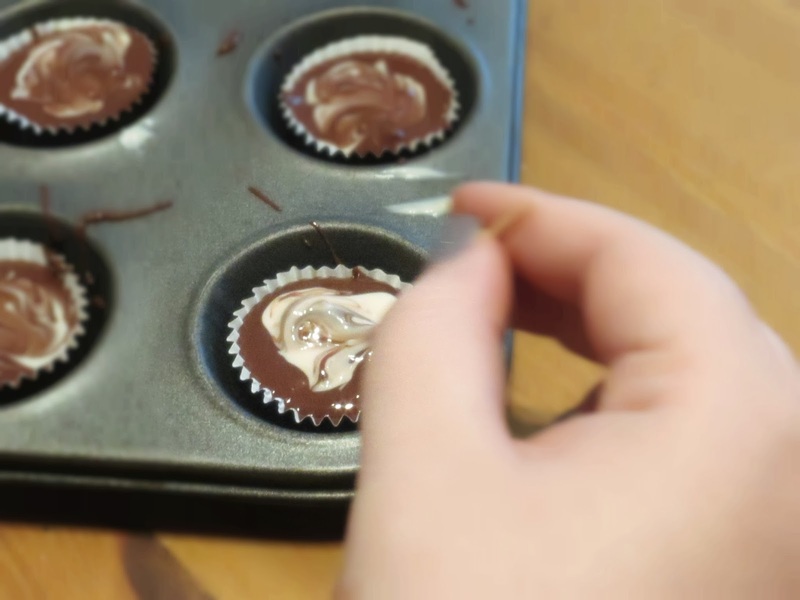 Take a tooth pick & swirl the chocolate to give a marbled effect. Allow to set & then - when you want to make hot chocolate, melt these into a mug of boiling milk or water. If you want to make these even more fun you can mix edible glitter, food colouring or popping candy into the white chocolate. Or any number of other things, go nuts! 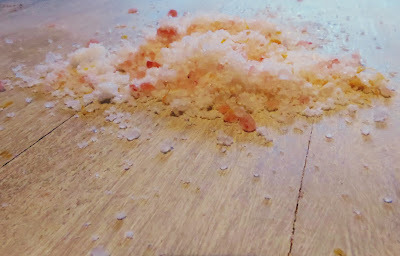 Take 500g Epsom salts, 250g pink Himalayan salt & 125g of bicarbonate of soda. Combine with the zest of a pink grapefruit & 50 drops of grapefruit essential oil. You can also add any other citrus essential oils - I wouldn't use lime but it might work really well. This is what I am giving to my mum for Christmas, she loves grapefruit & the Himalayan bath salts from Therapie - she has excellent taste - & I have a feeling this will work well as a DIY option.